2011-12 Rs. 50-100 Crore Approx. 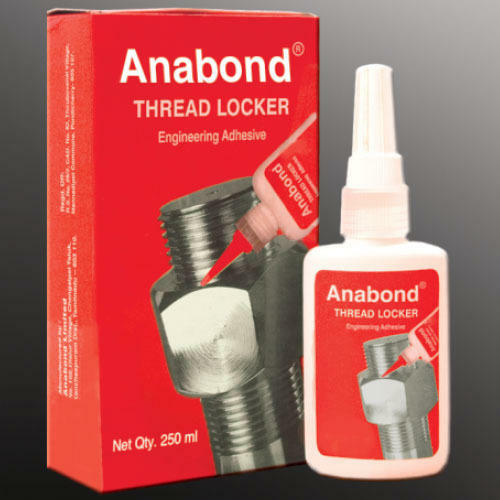 Founded in 1979, Anabond Limited, has established itself as one of the leading manufacturers, wholesaler, distributor and exporters of Engineering Adhesives and Sealants. Our products are widely used for various applications in the Construction and Infrastructure Industry, Pharmaceutical Industry, Aviation Industry, Hospitality Industry, The Highway, Road, Street, and Bridge Contracting Industry, Automobile Industry, Thermal Power Plants and Factories and Oil and Gas Pipelines. We cater to Indian domestic market and international market as well. Our market includes Indian Subcontinent, East Europe, East Asia, North Europe, Middle East, South East Asia. Our experienced team of research and development department, a wide product range, strong financial hold and TQM along with large production capacity give us an edge over our competitors. Our valued clients have time and again appreciated our ability of maintaining quality standards and have applauded us for the optimum level of production as per client’s requirements and specifications.